Convenience stores operate in all communities across the UK and serve every member of society on a daily basis. We know that convenience stores are highly valued by their communities and ranked in the top three for businesses that have a positive impact on the locations they trade. In order for convenience stores to maintain their valued status in communities, retailers must be ready to engage at all levels with a broad group of local stakeholders. The options for local engagement are vast, with the need to consider communicating with a range of different partners. Start at the shop door! Build relationships with the people, groups and institution most local to you and your business as they are likely to make the biggest difference. 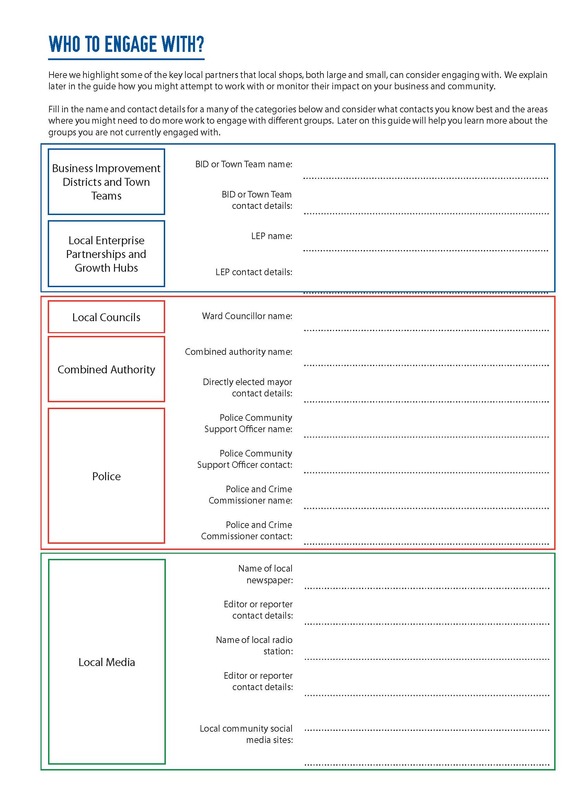 The Police Community Support Officer operating in your area is going to have more of a direct impact on your business than the Police and Crime Commissioners. foundation of good relationships around your business and build up from there. Click here to download a printable template that allows you to highlight some of the key local partners that local shops, both large and small, can consider engaging with. We explain later in the guide how you might attempt to work with or monitor their impact on your business and community. 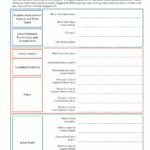 Fill in the name and contact details for as many of the categories below and consider what contacts you know best and the areas where you might need to do more work to engage with different groups. Later on, this guide will help you learn more about the groups you are not currently engaged with. Click here to learn more about the convenience sector and how to make a good local engagement case for your store.